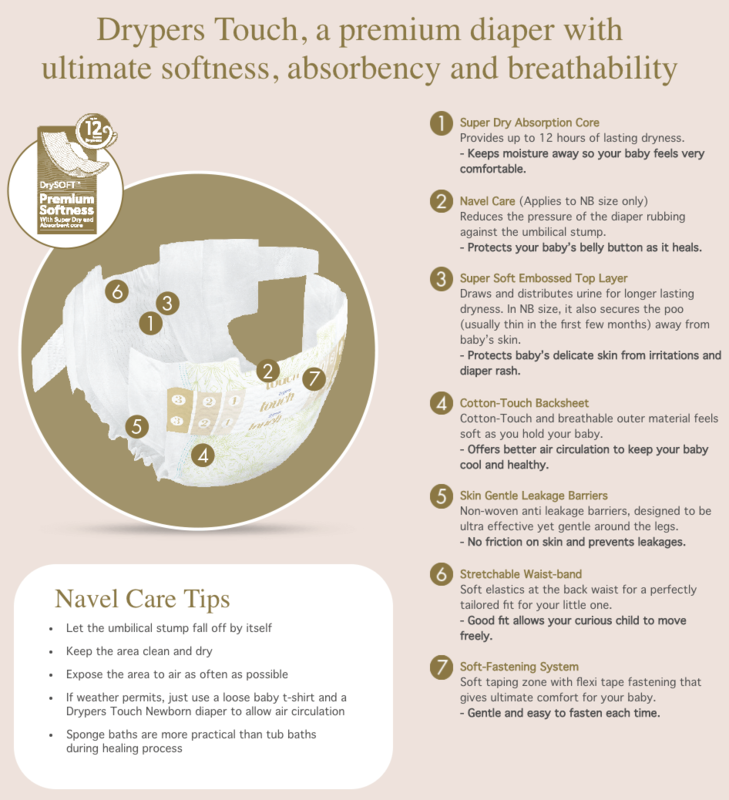 Diapers with premium softness and absorbency for your little one’s ultimate comfort. When it comes to our little ones, we always take care to be ever so gentle when we touch them, hold them and nurture them. We want to make them feel as safe and comfortable as possible. 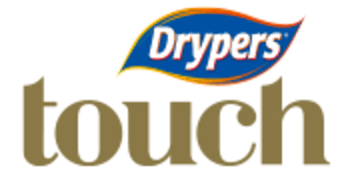 New Drypers Touch was inspired by this insight and incorporates the advanced Pro Skin Technology to offer your baby a premium diaper with ultimate softness, absorbency, breathability and up to 12 hours of lasting dryness to keep your baby’s skin as comfortable as possible. We have put together this product option so that you may get a trial of the diapers without having to commit to the whole pack. You can choose any brand in our inventory and also by the amount that you wanted to try. We recommend that you try out at least 3 days for each brand before deciding if it&apos;s good or bad.